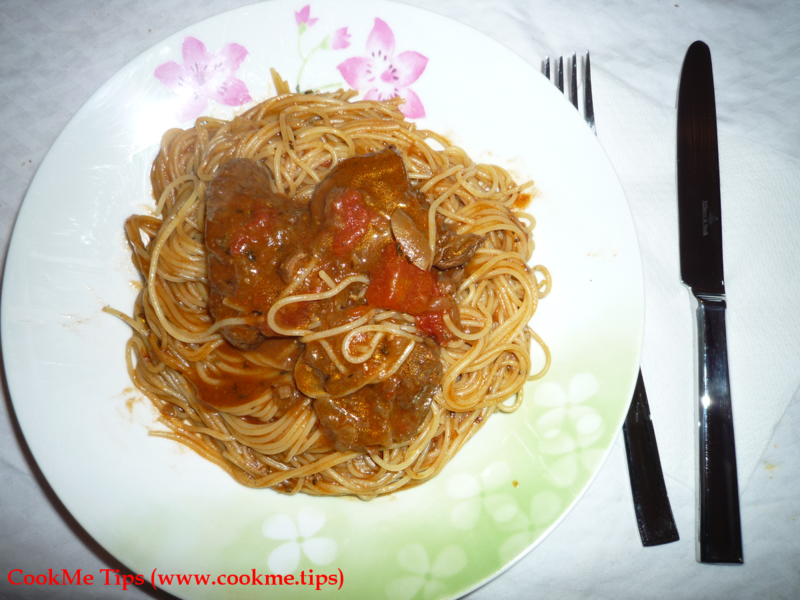 This is a classic fish recipe with many variations. The name of the Gilthead sea bream is Dorade Royale and it lives mainly in the Mediterranean Sea and the North Atlantic Ocean. 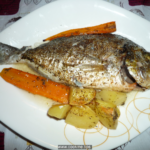 It is a tasty fish rich in Omega-3. 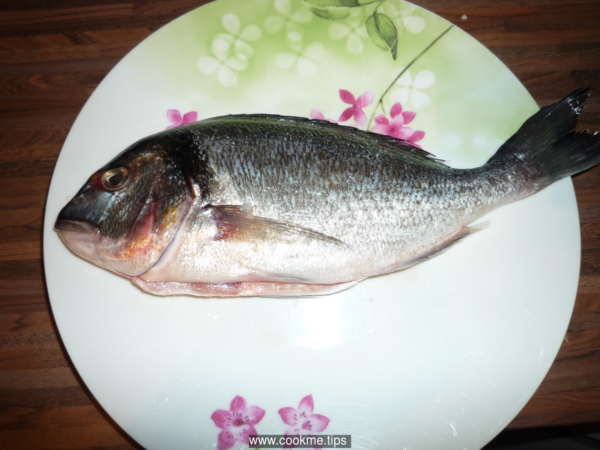 More often in the market you will find Gilthead seabream from a fish farm. Choose fresh Gilthead sea bream (preferably from the sea/ocean or organic sea-farming) and clean it/them carefully. Normally, when you buy you can ask the seller to clean the fish insides for you. Peel the carrots and the potatos and chop the potatos in big slices. 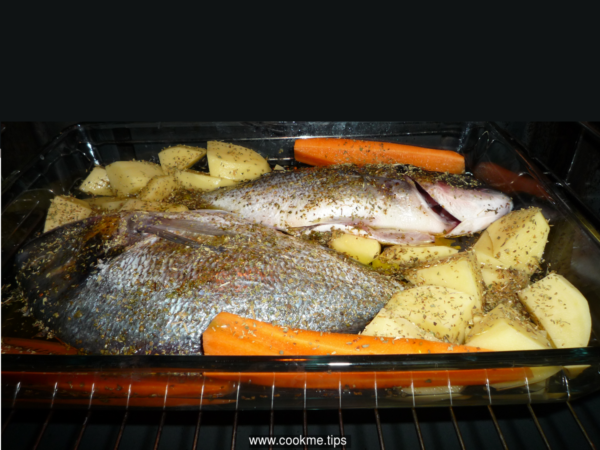 In a pyrex glass bowl or a deep oven pan place two Gilthead sea breams, the chopped potatoes, the carrots and add oregano, sea salt and the olive oil. 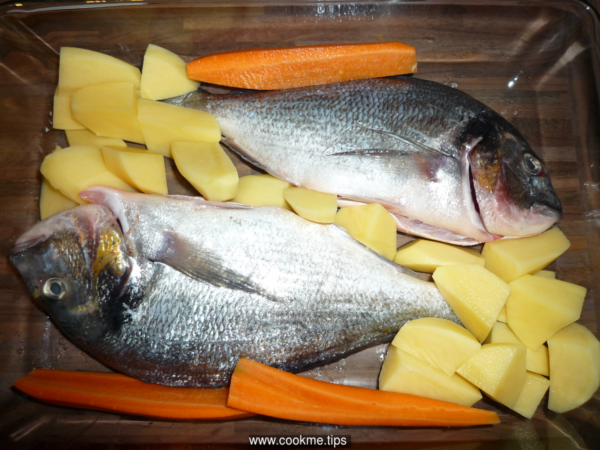 Add approximately two glasses of water in order to half - cover the fish and vegetables. This means that water should be below the middle of the pyrex glass bowl / oven pan. 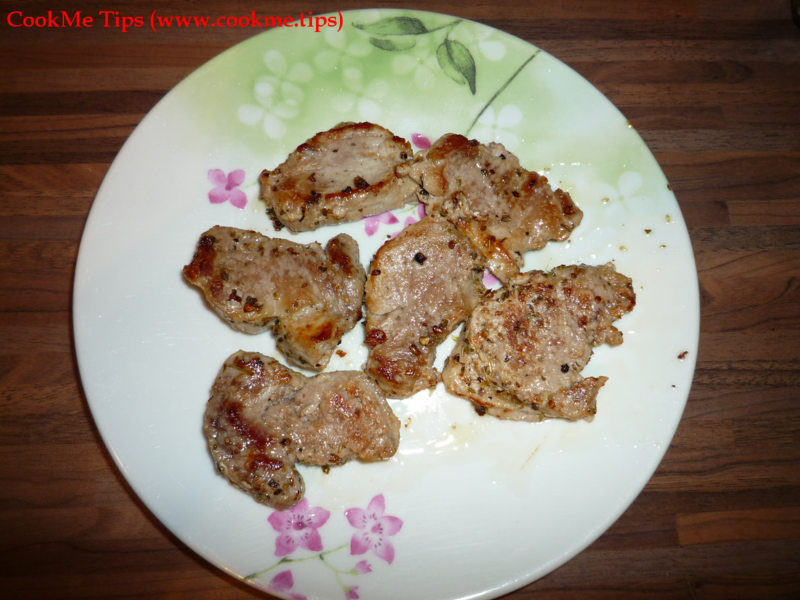 Place it in the oven (200 - 220 degrees Celcius) and let it bake for 40-60 minutes depending on the oven's efficiency. Please take care for the water not to dry out for the fish to retain its juice. If necessary add some water. You may also remove the bowl/pan from the oven after 20', turn the fish upside down, and place the bowl/pan back in the oven again. Always take care so that the fish retains its shape in order to keep its nice look when you serve it. 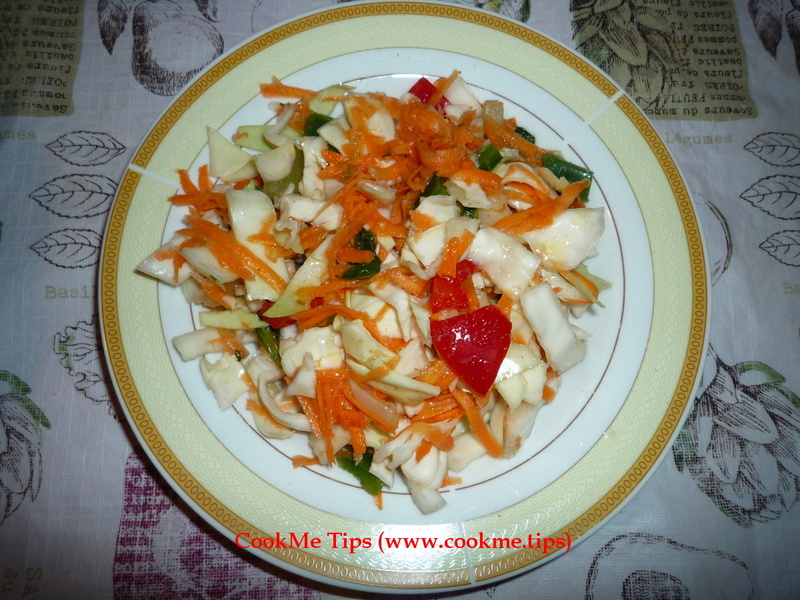 When cooked, your fish and vegetables should look like this. 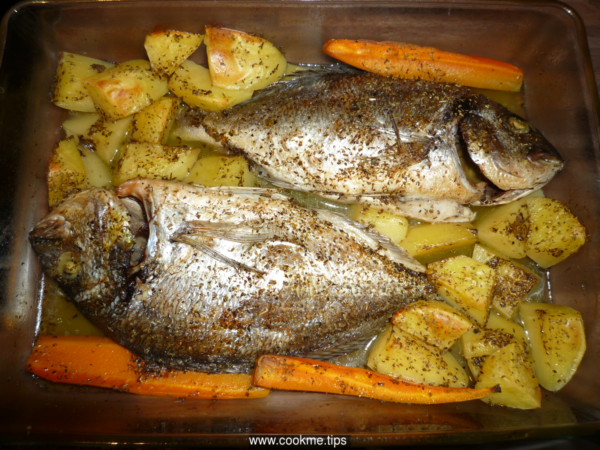 You can serve a baked Gilthead sea bream with vegetables like this! 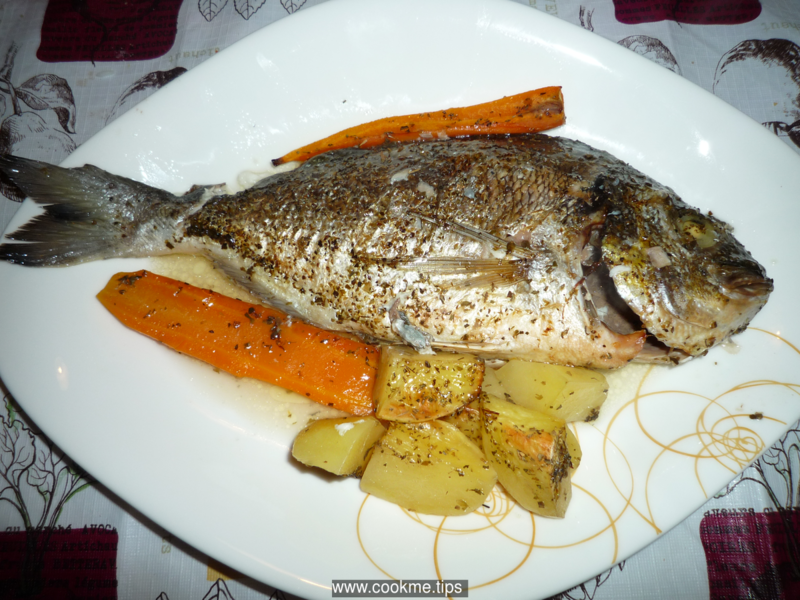 It is normal that you add lemon and extra olive oil when you eat the fish (at least in Greece people do). Some people add the juice of one lemon in Step 3 together with the water.